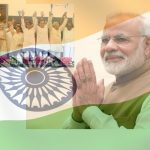 As the Indian Prime Minister Narendra Modi returns home after a successful meeting with U.S. President Barack Obama, there is a growing interest, not only in India and America, but in the world, as to what they talked about and what they came up with. On 30th September, the White House released a joint statement by the two countries. With their commitment to a new mantra for the relationship, “Chalein Saath Saath: Forward Together We Go”, we hope that one day the world will be able to follow the path that Srila Prabhuapda envisioned when he talkd about India-America relationship. He said in New Vrindavan, West Virginia on Jun 28, 1976: “Indian culture and American strength make the whole world happy”. The following is the full, unedited text of the joint statement. The two leaders recognized that the bilateral relationship enjoys strong support in both countries, which has allowed the strategic partnership to flourish even as the governments change. Welcoming the wide range of collaborative activities undertaken to improve their citizens’ lives, both leaders agreed to revitalize the existing partnership and find new areas for collaboration and mutual benefit. Noting that two-way trade has increased fivefold since 2001 to nearly $100 billion, President Obama and Prime Minister Modi committed to facilitate the actions necessary to increase trade another fivefold. President Obama and Prime Minister Modi recognized that U.S. and Indian businesses have a critical role to play in sustainable, inclusive, and job-led growth and development. In this context, the U.S. government welcomes India’s offer for U.S. industry to be the lead partner in developing smart cities in Ajmer (Rajasthan), Vishakhapatnam (Andhra Pradesh) and Allahabad (Uttar Pradesh). The Prime Minister will welcome two trade missions in 2015 focused on meeting India’s infrastructure needs with U.S. technology and services. They also committed to a new partnership to advance the Prime Minister’s goal of improved access to clean water and sanitation for all. USAID, through the Urban India Water, Sanitation, and Hygiene (WASH) Alliance, will serve as knowledge partner to help leverage private and civil society innovation, expertise, and technology, such as with the Bill and Melinda Gates Foundation, to support the Prime Minister’s 500 Cities National Urban Development Mission and Clean India Campaign. 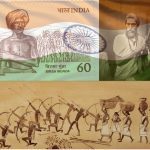 The President welcomed the Prime Minister’s ambitious plan to extend basic financial services to all its citizens, giving them powerful tools to manage their finances and more fully participate in India’s growing economy. The President and Prime Minister underlined the important contribution that U.S. locomotive technology, equipment to monitor rail system assets, and U.S. best practices can play in modernizing India’s vast railway network, including accessing programs of U.S. Trade and Development Agency in this work. The leaders discussed their concerns about the current impasse in the World Trade Organization and its effect on the multilateral trading system, and directed their officials to consult urgently along with other WTO members on the next steps. The leaders committed to work through the Trade Policy Forum to promote a business environment attractive for companies to invest and manufacture in India and in the United States. Agreeing on the need to foster innovation in a manner that promotes economic growth and job creation, the leaders committed to establish an annual high-level Intellectual Property (IP) Working Group with appropriate decision-making and technical-level meetings as part of the Trade Policy Forum. They recognized in particular the contribution of the Indian and U.S. Information Technology (IT) industry and the IT-enabled service industry in strengthening India-U.S. trade and investment relations. The two leaders committed to hold public-private discussions in early 2015 under the Commercial Dialogue on new areas of cooperation, including innovation in advanced manufacturing. In order to share best practices in manufacturing and work toward greater harmonization of standards, the National Institute of Standards and Technology’s Manufacturing Extension Partnership program will start a dialogue with Indian counterparts. The two countries plan to work expeditiously through several joint initiatives to facilitate greater confidence in cross-border trade and investment. The leaders look forward to the annual U.S.-India Economic and Financial Partnership in early 2015. They also welcomed the expansion of the partnership in oversight of financial institutions, including between Reserve Bank of India and the U.S. Federal Deposit Insurance Corporation, the Board of Governors of the Federal Reserve System and the Office of the Comptroller of Currency. They also agreed to reinvigorate the India-U.S. CEO Forum, and welcomed India’s offer to host the Forum for the second time in early 2015. 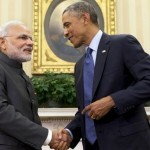 The two leaders reaffirmed their commitment to implement fully the U.S.-India civil nuclear cooperation agreement. They established a Contact Group on advancing the implementation of civil nuclear energy cooperation in order to realize early their shared goal of delivering electricity from U.S.-built nuclear power plants in India. They looked forward to advancing the dialogue to discuss all implementation issues, including but not limited to administrative issues, liability, technical issues, and licensing to facilitate the establishment of nuclear parks, including power plants with Westinghouse and GE-Hitachi technology. Recognizing the critical importance of increasing energy access, reducing greenhouse gas emissions, and improving resilience in the face of climate change, President Obama and Prime Minister Modi agreed to a new and enhanced strategic partnership on energy security, clean energy, and climate change. They agreed to strengthen and expand the highly successful U.S.-India Partnership to Advance Clean Energy (PACE) through a series of priority initiatives, including a new Energy Smart Cities Partnership to promote efficient urban energy infrastructure; a new program to scale-up renewable energy integration into India’s power grid; cooperation to support India’s efforts to upgrade its alternative energy institutes and to develop new innovation centers; an expansion of the Promoting Energy Access through Clean Energy (PEACE) program to unlock additional private sector investment and accelerate the deployment of cost-effective, super-efficient appliances; and the formation of a new Clean Energy Finance Forum to promote investment and trade in clean energy projects. Both leaders are committed to working towards a successful outcome in Paris in 2015 of the conference of the UN Framework Convention on Climate Change (UNFCCC), including the creation of a new global agreement on climate change. The leaders recalled previous bilateral and multilateral statements on the phase-down of hydrofluorocarbons (HFCs). They recognized the need to use the institutions and expertise of the Montreal Protocol to reduce consumption and production of HFCs, while continuing to report and account for the quantities reduced under the UNFCCC. They pledged to urgently arrange a meeting of their bilateral task force on HFCs prior to the next meeting of the Montreal Protocol to discuss issues such as safety, cost, and commercial access to new or alternative technologies to replace HFCs. The two sides would thereafter cooperate on next steps to tackle the challenge posed by HFCs to global warming. The leaders welcomed the conclusion of a Memorandum of Understanding between the Export-Import Bank and the Indian Renewable Energy Development Agency, which would make up to $1 billion in financing available to bolster India’s efforts to transition to a low-carbon and climate-resilient energy economy, while boosting U.S. renewable energy exports to India. The two leaders reiterated the importance of conserving India’s precious biodiversity and agreed to explore opportunities for collaboration on national parks and wildlife conservation. To facilitate deeper defense cooperation, they welcomed the decision to renew for ten more years the 2005 Framework for the U.S.-India Defense Relationship and directed their defense teams to develop plans for more ambitious programs and activities. The two leaders also agreed to reinvigorate the Political-Military Dialogue and expand its role to serve as a wider dialogue on export licensing, defense cooperation and strategic cooperation. The leaders welcomed the first meeting under the framework of the Defense Trade and Technology Initiative in September 2014 and endorsed its decision to establish a Task Force to expeditiously evaluate and decide on unique projects and technologies which would have a transformative impact on bilateral defense relations and enhance India’s defense industry and military capabilities. The President and Prime Minister welcomed cooperation in the area of military education and training, and endorsed plans for the United States to cooperate with India’s planned National Defence University. They also decided to expand military-to-military partnerships including expert exchanges, dialogues, and joint training and exercises. They also committed to enhancing exchanges of civilian and military intelligence and consultation. The leaders agreed to intensify cooperation in maritime security to ensure freedom of navigation and unimpeded movement of lawful shipping and commercial activity, in accordance with accepted principles of international law. To achieve this objective, the two sides considered enhancing technology partnerships for India’s Navy including assessing possible areas of technology cooperation. They also agreed to upgrade their existing bilateral exercise MALABAR. The leaders reaffirmed their deep concern over the continued threat posed by terrorism, most recently highlighted by the dangers presented by the ISIL, and underlined the need for continued comprehensive global efforts to combat and defeat terrorism. The leaders stressed the need for joint and concerted efforts, including the dismantling of safe havens for terrorist and criminal networks, to disrupt all financial and tactical support for networks such as Al Qaeda, Lashkar-e Taiba, Jaish-e-Mohammad, the D-Company, and the Haqqanis. They reiterated their call for Pakistan to bring the perpetrators of the November 2008 terrorist attack in Mumbai to justice. They pledged to enhance criminal law enforcement, security, and military information exchanges, and strengthen cooperation on extradition and mutual legal assistance. Through operational cooperation through their law enforcement agencies, they aimed to prevent the spread of counterfeit currency and inhibit the use of cyberspace by terrorists, criminals, and those who use the internet for unlawful purposes, and to facilitate investigation of criminal and terrorist activities. The leaders also committed to identify modalities to exchange terrorist watch lists. President Obama pledged to help India counter the threat of improvised explosive devices with information and technology. The leaders committed to pursue provision of U.S.-made mine-resistant ambush-protected vehicles to India. Fundamental science and high technology cooperation has been a critical pillar of the strategic partnership, the two leaders confirmed, and they looked forward to renewing the Science and Technology Agreement in order to expand joint activities in innovative technology. The Prime Minister welcomed the United States as a partner country, for the first time, at India’s annual Technology Summit in November 2014. In addition, they committed to convene the ninth High Technology Cooperation Group (HTCG). They plan to launch new partnerships to source and scale innovation for the benefit of citizens in both countries and to harness innovation to solve global development challenges. The President welcomed India’s contribution and cooperation on high-energy physics and accelerator research and development with the U.S. Department of Energy. 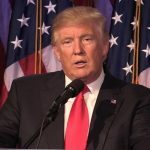 The President thanked the Prime Minister for his offer to have U.S. institutions partner with a new Indian Institute of Technology. The leaders committed to partner on the Digital India initiative, with the goal of enhancing digital infrastructure, deploying e-governance and e-services, promoting industry collaboration, and digitally empowering India’s citizens. The President welcomed India’s proposal to establish the Global Initiative of Academic Networks (GIAN, or Knowledge) under which India would invite and host up to 1,000 American academics each year to teach in centrally-recognized Indian Universities, at their convenience. The two leaders exchanged congratulations on the successful entry into orbit of their respective Mars missions, which occurred two days apart. They welcomed the establishment and planned first meeting of the NASA-ISRO Mars Joint Working Group under the U.S.-India Civil Space Joint Working Group. The leaders also look forward to the successful conclusion of a new agreement to support the NASA-ISRO Synthetic Aperture Radar (NISAR) mission, to be launched in 2021. The President and Prime Minister recognized the extensive ongoing cooperation in the health sector which they will put to use in preventing the spread of the Ebola virus. The President welcomed India’s contribution to the UN Fund and donation of protective gear to the effort against Ebola, and thanked the Prime Minister for encouraging Indian-owned businesses in West Africa to contribute to the fight against Ebola. The Prime Minister also offered to deploy Indian expertise in the fight against Ebola, including by investing its resources in producing modelling of the spread of the disease, jointly producing rapid deployable diagnostics, and considering joint training of response personnel. The United States stands ready to amplify India’s efforts to achieve a further reduction in preventable child and maternal deaths, including replicating India’s successful approaches in other countries. The leaders agreed to launch a new phase of the India-U.S. Vaccine Action Program to develop affordable vaccines for dengue, malaria, and tuberculosis, and the establishment of an adjuvant development center. They also agreed in principle to initiate cooperative activities to increase capacity in cancer research and patient care delivery, including by developing collaborative programs for and with India’s upcoming AIIMS-National Cancer Institute. The President welcomed India’s offer to take a leading role in the Global Health Security Agenda. Highlighting their shared democratic values, the President and Prime Minister recognized the critical role that women play in India and the United States, as shown by India’s “Beti Bachao, Beti Padhao” (“Save Daughters, Celebrate Daughters, Educate Daughters”) initiative. They looked forward to holding a Women Empowerment Dialogue in order to exchange best practices to enhance the role of women in their countries, and they asserted zero tolerance for violence against women. Noting India’s “Act East” policy and the United States’ rebalance to Asia, the leaders committed to work more closely with other Asia Pacific countries through consultations, dialogues, and joint exercises. They underlined the importance of their trilateral dialogue with Japan and decided to explore holding this dialogue among their Foreign Ministers. The President and Prime Minister noted the success of their countries’ collaboration on agricultural innovation in three African countries. They announced a new agreement to expand joint development initiatives in third countries in a range of sectors, including agricultural productivity, clean energy, health, women’s empowerment, and disaster preparedness. They also look forward to continuing the productive cooperation in Afghanistan on promoting women’s economic empowerment. The Prime Minister and the President reaffirmed their shared interest in preserving regional peace and stability, which are critical to the Asia Pacific region’s continued prosperity. The leaders expressed concern about rising tensions over maritime territorial disputes, and affirmed the importance of safeguarding maritime security and ensuring freedom of navigation and over flight throughout the region, especially in the South China Sea. The Prime Minister and President called on all parties to avoid the use, or threat of use, of force in advancing their claims. The two leaders urged the concerned parties to pursue resolution of their territorial and maritime disputes through all peaceful means, in accordance with universally recognized principles of international law, including the United Nations Convention on the Law of the Sea. Recognizing the importance of their respective strategic partnerships with Afghanistan, the leaders asserted the importance of a sustainable, inclusive, sovereign, and democratic political order in Afghanistan, and committed to continue close consultations and cooperation in support of Afghanistan’s future. The President expressed appreciation for the contributions of Indian peacekeepers to global peace and stability for the past 60 years, and welcomed the partnership with India to train third country peacekeepers at India’s training center in New Delhi. The President reaffirmed his support for a reformed UN Security Council with India as a permanent member, and both leaders committed to ensuring that the Security Council continues to play an effective role in maintaining international peace and security as envisioned in the United Nations Charter. The President also affirmed his commitment to enhancing India’s voice and vote in international financial institutions, and ensuring that resources are made available and are used creatively through multilateral development banks for infrastructure financing. The President thanked the Prime Minister for the gracious invitation to return to the great nation of India. In conclusion, the two leaders affirmed their long-term vision for a resilient and ambitious partnership through the first “Vision Statement for the Strategic Partnership,” which they will hold up as the guiding framework for their governments and people. “The East shall rise again” – Does Obama’s India trip blow the trumpet? Jammu and Kashmir floods – What went wrong?